Correspondence sent and received by the Adjutant General's Office. 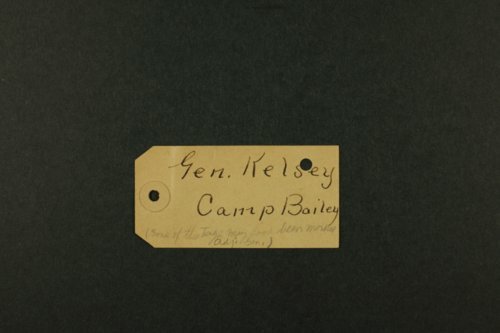 Samuel H. Kelsey succeeded Simeon M. Fox as Kansas Adjutant General in February 1903. Correspondents include pension attorneys, representatives from the Interstate National Guard Association, Colonel Perry M. Hoisington, Lieutenant Murray R. Foults, Major W.W. Minick, Attorney General C.C. Coleman, Colonel Samuel F. Woolard, and Wilder S. Metcalf.